Prime Minister Justin Trudeau has fired John McCallum as ambassador to China. The removal comes after McCallum made controversial comments about the extradition of Huawei executive Meng Wanzhou. 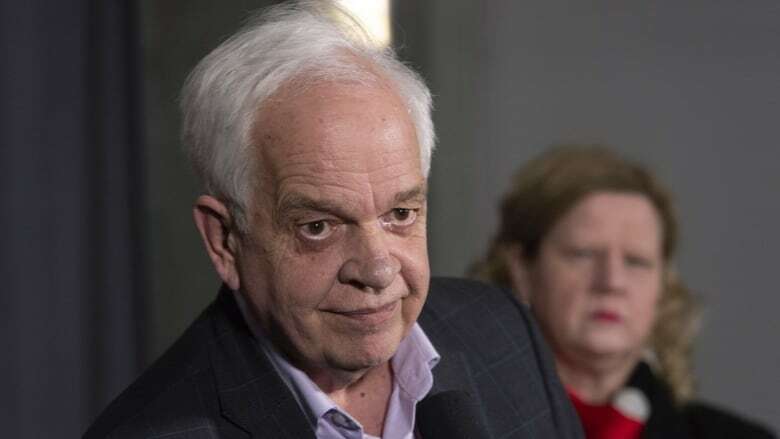 John McCallum has been fired as Canada's ambassador to China. "Last night I asked for and accepted John McCallum's resignation as Canada's Ambassador to China," Prime Minister Justin Trudeau said in a statement Saturday. A spokesperson for the prime minister confirmed Trudeau delivered the news to McCallum himself. The statement didn't offer a reason for the removal, which comes in the middle of a diplomatic crisis with China. It caps off an especially tough week for McCallum after he controversially waded into the extradition request against Meng Wanzhou, an executive with Chinese telecom company Huawei. On Thursday, he said he misspoke with those statements. Then, just the next day, he told a StarMetro Vancouver reporter it would be "great for Canada" if the United States dropped their extradition request against the Huawei executive. He also repeated a comment that if the U.S. and China make a deal on Meng's case, it should include the release of the two Canadian men detained in China. "We have to make sure that if the U.S. does such a deal, it also includes the release of our two people. And the U.S. is highly aware of that," McCallum told the Star Friday. Former ambassador to China Guy Saint-Jacques said he believes it was the latest round of comments that prompted his firing. "Unfortunately I think the prime minister had no choice but to ask for the resignation of Mr. McCallum," he said. "He should have shown a bit more restraint, in my view." The firing appears to put the government's China policy in disarray just days before the U.S. makes a final decision on extraditing Meng and comes at a time that Canada faces difficulties in its relationships with Russia, India, Saudi Arabia and China. These days its historical ally in the White House is often at odds with Canadian foreign policy. The decision came too late for Conservative Leader Andrew Scheer who had called on Prime Minister Justin Trudeau to fire McCallum earlier in the week, following his first set of comments. At the time Trudeau brushed off the call, saying his government's focus is on getting detained Canadians Michael Kovrig and Michael Spavor released from China and recalling McCallum wouldn't achieve that. "This decision should have been made days ago. Instead [Trudeau has] shown weakness on this file and damaged Canada's reputation and our ability to handle this very important issue where Canadians' treatment in China is being affected by this," Scheer told reporters Saturday. The NDP's foreign affairs critic, Hélène Laverdière, said McCallum's inappropriate statements could complicate the file. "This chaos has not helped Canadians abroad and has caused confusion everywhere," she said in a statement. "In addition, we remain concerned about President Trump's statements that he would use this extradition as a bargaining chip in his trade negotiations. We believe that the legal process must follow its course without interference from anyone." For now, Jim Nickel, deputy head of mission at the Embassy of Canada in Beijing, will represent Canada in China as chargé d'affaires. Saint-Jacques said the search for a new ambassador in Beijing could take months, straining an already fractured relationship. "It really complicates things. In my view, this crisis is the worst we have seen with China since we established diplomatic relations back in 1970," he said. "There is a risk of more turbulence in the months ahead." Lynette Ong, a professor of political science at the University of Toronto's Munk School of Global Affairs and Public Policy, said McCallum was liked in China, making explaining his removal difficult. When McCallum took over the Beijing posting following a 2017 cabinet shuffle, he eagerly pointed out his strong personal connection to China. His wife is ethnically Chinese and he had a large Chinese-Canadian constituency in his former federal riding in Markham, Ont. "I think we need to play it very delicately with the Chinese," Ong said. "Firing someone that they could actually trust, I think we need to do some explanation to the Chinese authorities. We also need to be tough but at the same time assertive to the United States that they really need to jump in here to help us get out of the situation to secure the release of the two Canadians." The Liberal party's Quebec MPs were meeting today in Quebec City, but offered no more details. "I wanted to just thank John McCallum for all his work for Canada. [I] had the chance to sit with him for many years in Ottawa," said Heritage Minister Pablo Rodriguez.